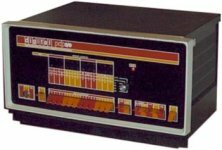 The 8E was the most popular of Digital Equipments highly successful PDP8 minicomputer. 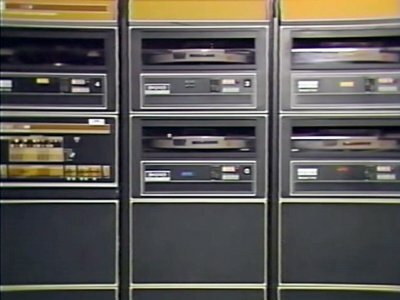 Until the rise of the microcomputer in the late 1970s, the PDP 8 was the world's best selling computer. 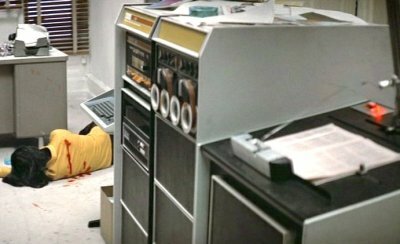 The 8 appears at the beginning of the film in Jospeh's office where it appears to be scanning and processing text documents. Text processing is reasonable enough, but the scanner (and presumably OCR) are a little far fetched. 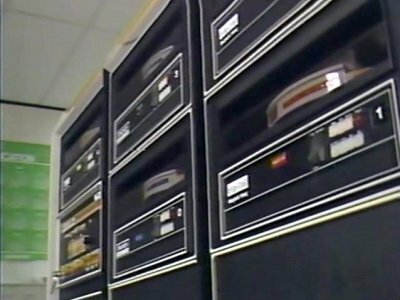 The PDP-8 is the building's main computer system. 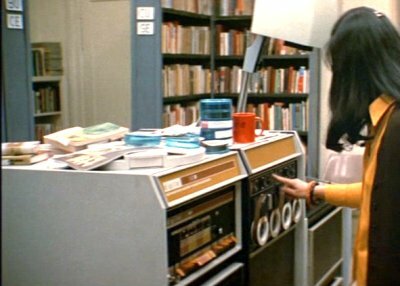 The PDP-8 tries to wrest control of the building from Lola by asserting a fail-safe condition, but Lola overrides this. 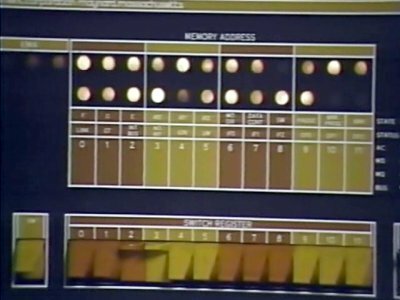 Bill Gates and Paul Allen develop software for the MITS Altair using a PDP-8/E.